hey i was wondering where u got the red and black ford symbols? 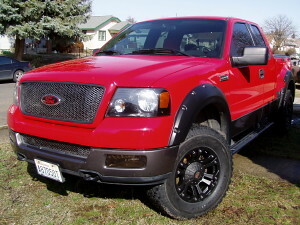 I have a 2005 flareside and I want to put bushwacker fender flares on it also. What did you use to trim them and make them not look all cut up?